Director Steve McQueen cuts right to the chase in getting you immediately hooked into the film’s introduction. I thought that the first 10-15 mins of the film were done in an effective way to really setup a number of different elements to the story, the characters, and more. We don’t get a lot of exposition, but more so a series of transitional shots from one story, to another, from one time to another. While that may sound a bit confusing, watching the sequence of events makes a lot more sense, and is very easy to digest for viewers. I just appreciated the exciting and explosive way the film kicked off because it immediately grabs all of your attention and doesn’t let go. As we dive deeper into the film, I appreciated how the characters weren’t as basic as one may expect. There’s a certain level of complexity in various characters once you learn more about their motives and desires. By having some characters display morally gray ambitions, you won’t know whether to praise or condemn some of the characters. That, of course, helps make the movie more compelling because you’ll continue to be interested to see how things play out for different characters. Michelle Rodriguez and Elizabeth Debicki star in Twentieth Century Fox’s WIDOWS. Photo Credit: Suzanne Tenner. When it came to the plot, overall, I thought it was pretty enjoyable. Thankfully the movie wasn’t entirely predictable, and there are a couple of twists that will certainly shock some audiences. Also within the plot, there are a number of social justice themes throughout the film. 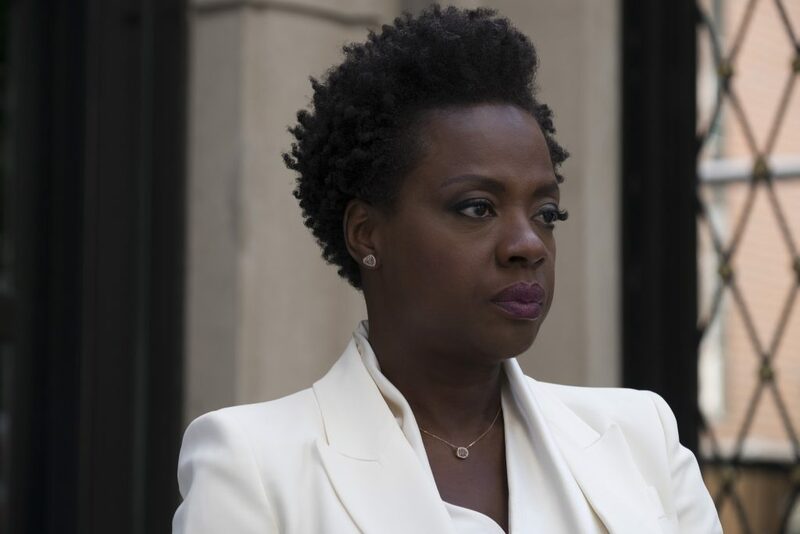 Given the fact that this film’s story and setting was Chicago, Widows did not hesitate to touch on some various social topics such as gun control or even the [Black] Church and politics. I think these elements weren’t overbearing nor preachy, and more importantly they actually made sense given the story itself. The benefit here is that even if someone was extremely conservative or liberal, neither of these themes should drastically send anyone into a political trigger fit. Before I talk about the actors themselves, let me just say that you may enjoy the level of inexperience and resourcefulness of the female ensemble of characters. They’re not experts, but yet they’re tasked to do an expert level task. The challenges and/or setbacks that they encounter will keep you engaged as you get a chance to experience the success and/or failures of the group of women. Viola Davis stars in Twentieth Century Fox’s WIDOWS. Photo Credit: Merrick Morton. Now let’s talk about the actors and their characters. Viola Davis effortlessly cruises in this role, and makes it seem almost a bit too easy. If you’re a fan of her character on How To Get Away With Murder then you’ll easily see some of the similar elements that make her character in Widows so appealing. Thankfully, her character isn’t very one dimensional, so we do get so see a number of different sides to her, and that makes her character a wonderful lead overall. In regards to the supporting cast, they were pretty solid across the board. 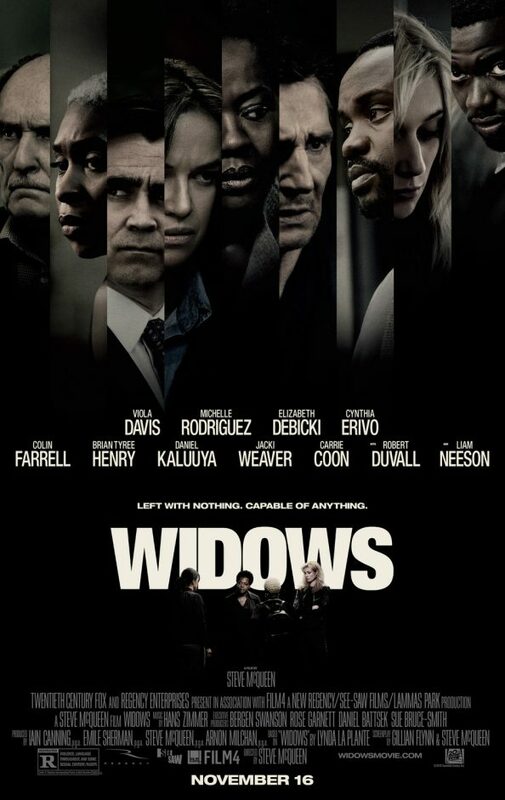 I thought Michelle Rodriguez’s character (Linda) came off as an early version of her other character “Letty” from the Fast and the Furious franchise, but it still worked for Widows nevertheless. Elizabeth Debicki was probably one of the more intriguing characters given the life changes her character undergoes. However, kudos must be given to Robert Duvall for being just a plain nut with his character of “Tom Mulligan”. Whether it was meant to be funny or not, he stole a couple of scenes for sure. Since this is going to be right at the beginning of the film, I’ll just say that Liam Neeson and Viola’s kissing scenes were just disturbing. I don’t know if it was meant to be funny or if it was…I just…I don’t know what that was. I couldn’t tell if Neeson and Viola simply had bad timing with their kissing, or if Neeson wanted to eat her entire face for breakfast. 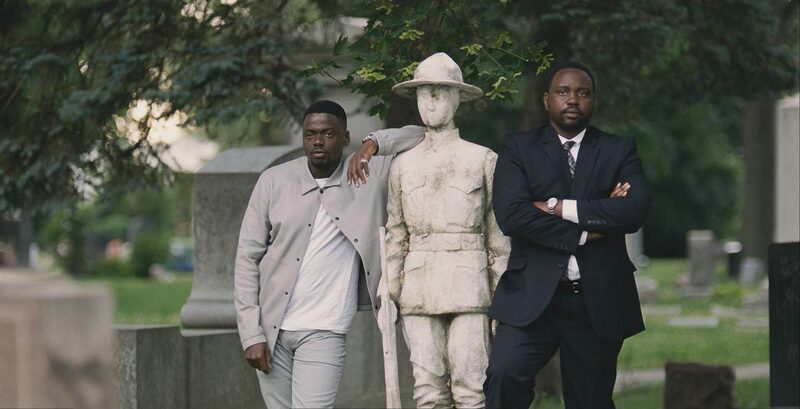 On a more serious note, despite being a fan of him, I don’t believe Daniel Kaluuya was a good fit for his role. The thing is that Kaluuya acts the part, but he doesn’t sound the part. Usually when English actors play American roles we can barely tell the difference. However, this time around, Kaluuya’s character never sounded like a person from Chicago, or even an inner city in America that I can recall. This actually kind of reminds me of Samuel L. Jackson’s commentary when he questioned why Hollywood continued to cast English black actors to play African American roles, when they could just hire an African American actor to begin with. Moving on, despite the solid cinematography for the majority of the movie, one thing that continued to throw me off was the director’s choice to constantly do so many close ups. I understand that every director has their own style. I also understand that as a film critic, this may have stood out to me way more than it would to the average person. I just thought that McQueen’s constant close ups were a bit much. I don’t need to look at Liam’s eyelashes for 15 seconds. Lastly, there’s an underlying subplot for Viola’s character that I thought didn’t fit very well in terms of the writing of the film. It’s not that it didn’t make sense for the movie per se, because it did. It’s just that it felt like a bit of a reach. There’s yet another social justice tie-in with this subplot, however, this connective story tries to also serve as a source of motivation for another character in the film. I didn’t think it was effective nor believable to drive a certain character to do what they do later in the movie. Essentially, that minor story felt shoehorned into the film. Widows is exactly what you had hoped Ocean’s 8 would’ve been, except with a much more dramatic tone. I think this film was able to showcase a group of women in a more practical way by allowing them to be both vulnerable and strong at the same time. Widows has a nice blend of action, drama, suspense and a sprinkle of humor in some scenes too. The acting and plot are strong enough to make this an enjoyable watch in theaters, and you should definitely add it to your list of movies to see this weekend. Widows is in theaters now. Be sure to follow E-Man’s Movie Reviews on Facebook, Subscribe on YouTube, or follow me on Twitter/IG @EmansReviews for even more movie news and reviews!